I took this picture walking on Roosevelt Island. 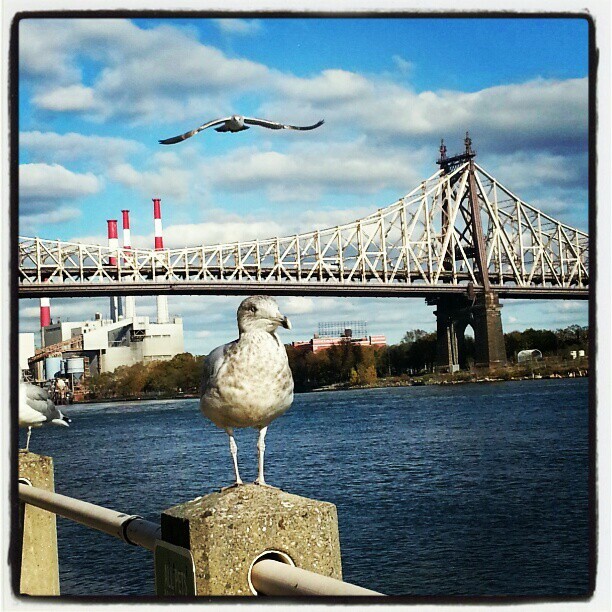 In the background is the Queensboro Bridge. It looks like a montage, but it is not!